Environment variables are pairs of key-and-value commonly used by developers to encrypt authentication credentials, pass values in scripts and hide sensitive data in configuration files. Today’s release expands the feature with a list of default ENV VARs that you can use. 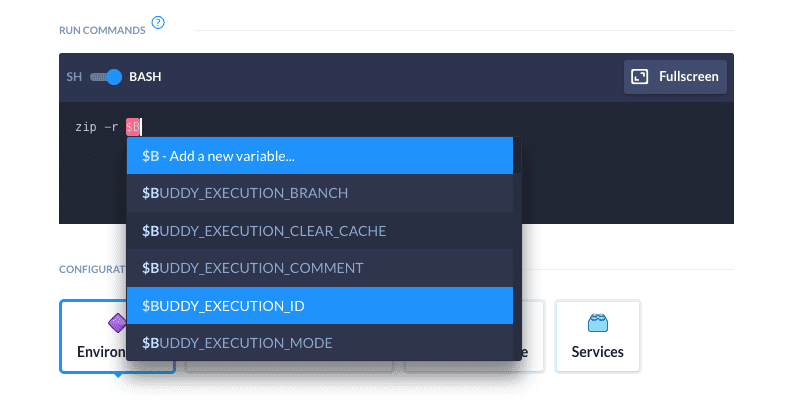 The variables are automatically populated during each execution, holding such data as the branch from which the deploy was made or the ID of the execution.